Synopsis: Meg Kirkland fears her impudent tongue has caused her father’s dismissal from his job and forced her whole family from their home in middleditch farm. 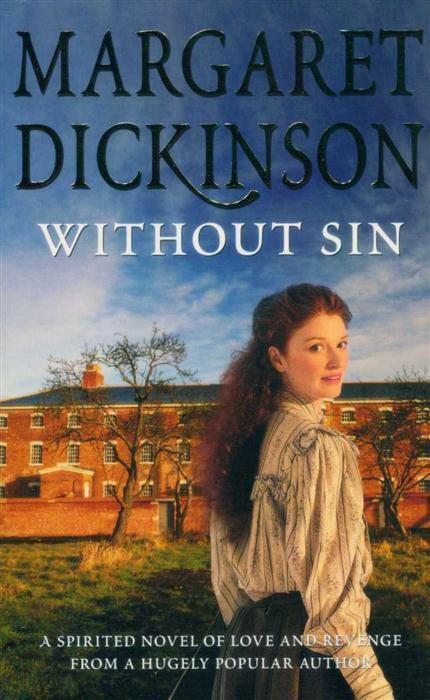 Worse still, her father abandons them outside the workhouse, leaving meg to care for her devastated mother, Sarah, and her little brother as tragedy continues to haunt the family. Issac Pendleton, master of the workhouse, rules the lives of all those within it walls, when Sarah becomes his latest mistress, her daughter is disgusted. Meg’s loyal friend, Jake, born and bred in the workhouse, has a maturity and understanding beyond his years. Yet it is Meg’s fiery independence that encourages Jake to leave the workhouse and seek employment on middleditch farm. His future is assured, but who will take care of Meg? The pretty, vivacious girl, once so innocent, becomes calculating and manipulative young woman who will stop at nothing to get her own way, even if it means betraying those she has loved. Without sin is Margaret Dickinson’s spirited historical saga of a passionate young woman who learns to fight for her own survival in a cruel world. The workhouse at southwell, Nottinghamshire, which has been magnificently restored by the national trust, is the inspiration for the setting of this novel. However, the characters and story are entirely fictious and have no relations whatsoever to any inmates or staff, past or present. My love and thanks, as always, to my family and friends for their constant support, help and encouragement. Review: this is a really good book and it is enjoyable story and meg sounds really strong having to look after her mother and brother after her father abandon them at the work house and glad meg has a friend to help her out and she helps him too and she helps him leave the workhouse where he was born and lived till he left to work at middleditch farm and she is disgusted when her mother starts a relationship with the workhouse owner and she hates that she is stuck in this place with her mother and brother.